This is the first official book of the band, made by the band and they are eager to promote it. RHCP have sold over 55 million albums around the world. 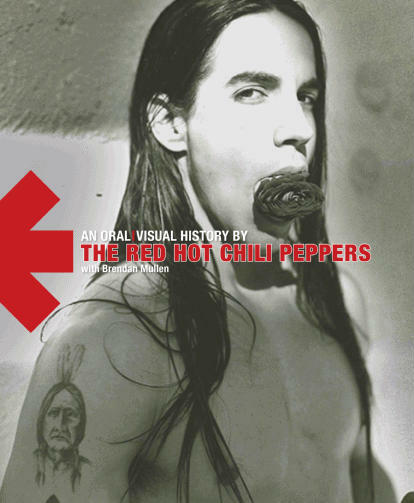 Stadium Arcadium, 9th album, released in 2006, sold more than 7 million copies. (in a MP3 time this is a huge victory) They won 7 Grammy Awards. They returned to the studio in October 2009, the next album due, according to Chad Smith, at the end of the year. The book contains never before seen photos of the band. In addition to intimate interviews with the band. It will be the best item that a fan can have. For the first time, they will reveal personal stories. It will be revealed details about their lives outside the band. The book will have color photos, personal photos of each band member and band photos, including pictures of gigs, promotional photos, pictures from magazines, album covers. And again, ticket stubs, magazine covers, posters, and more credentials.